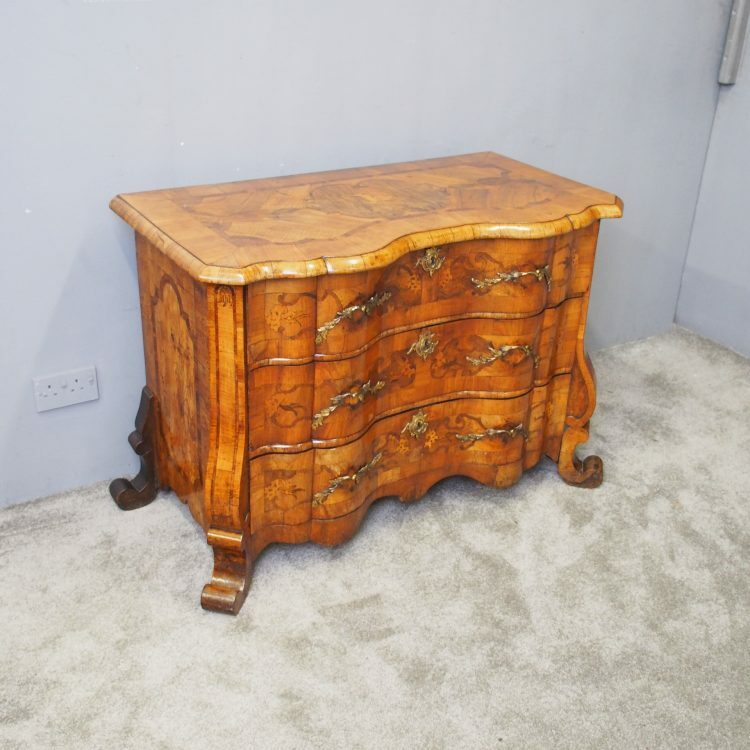 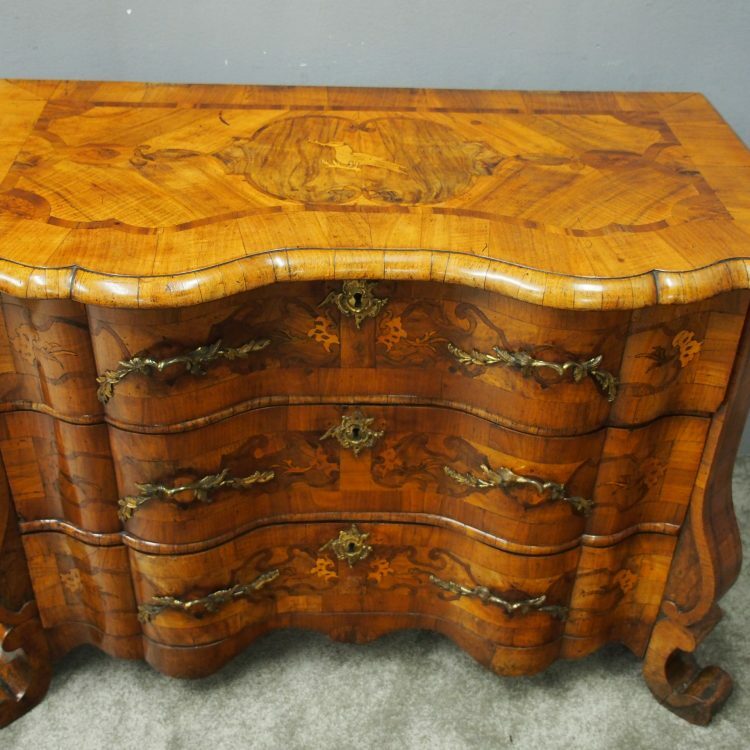 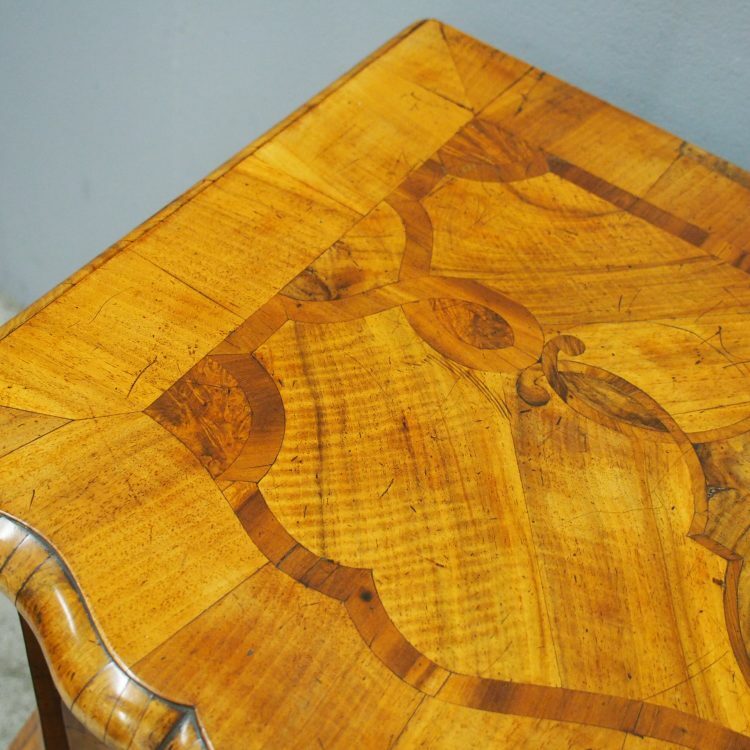 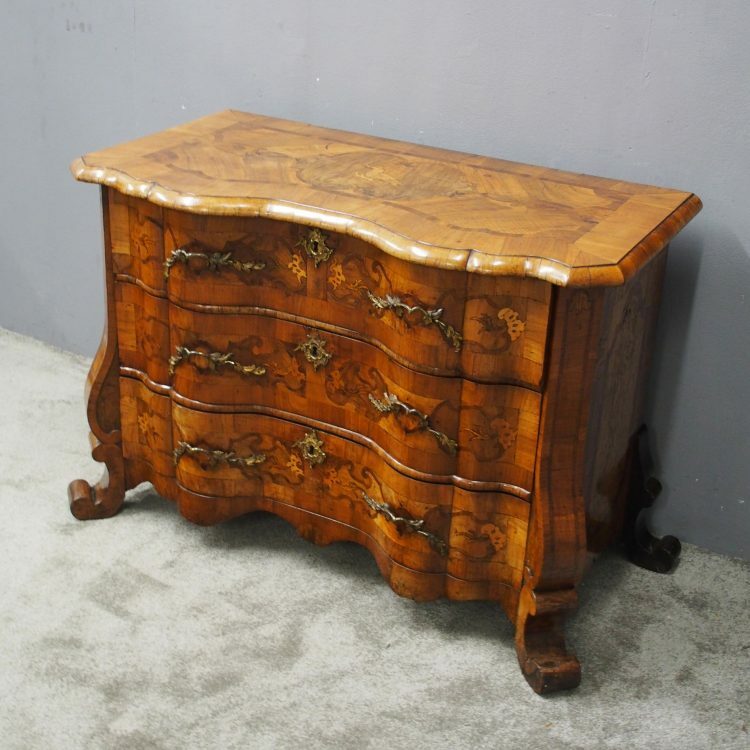 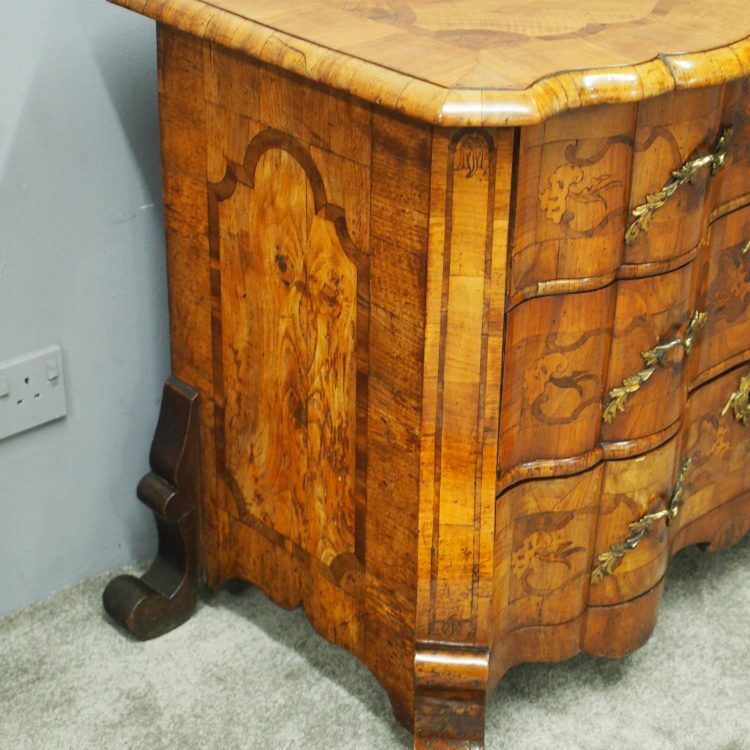 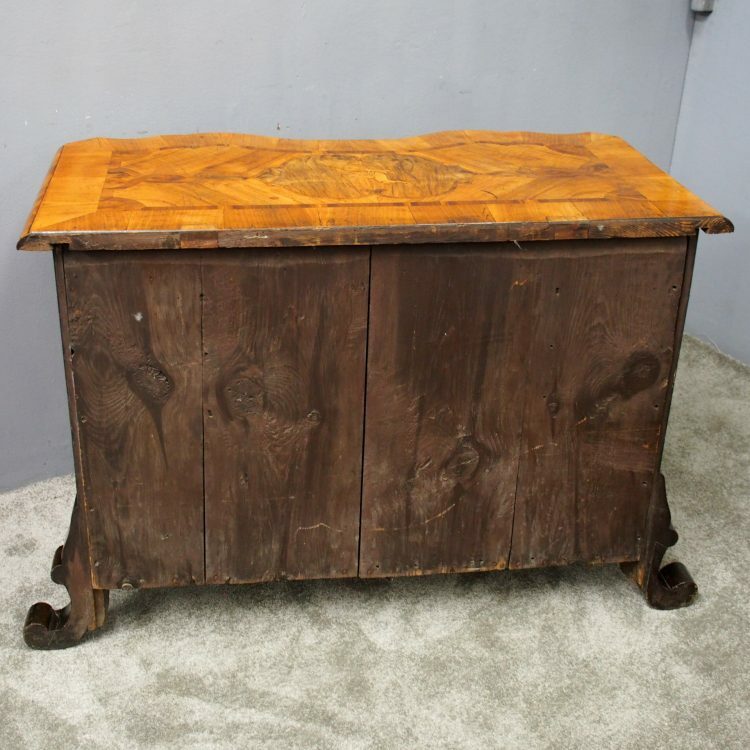 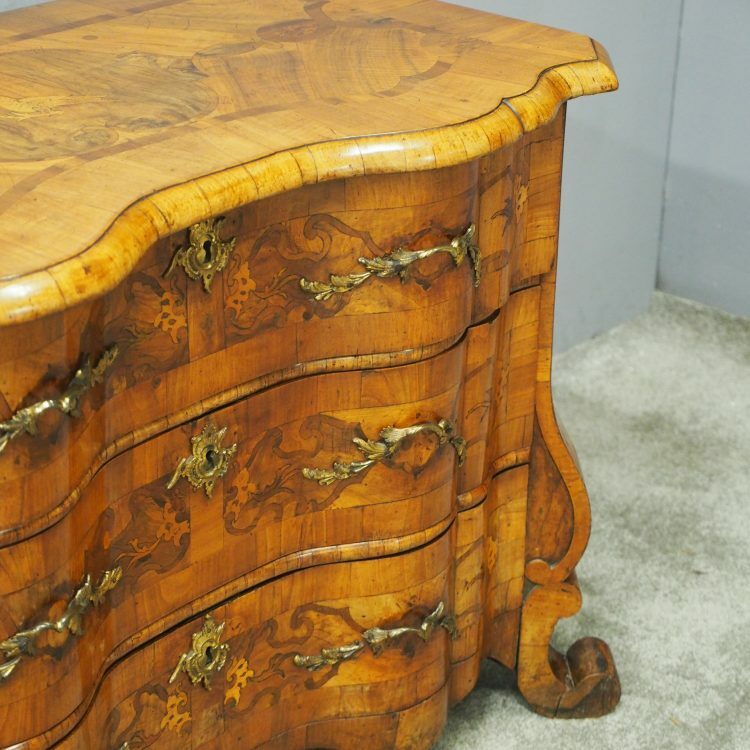 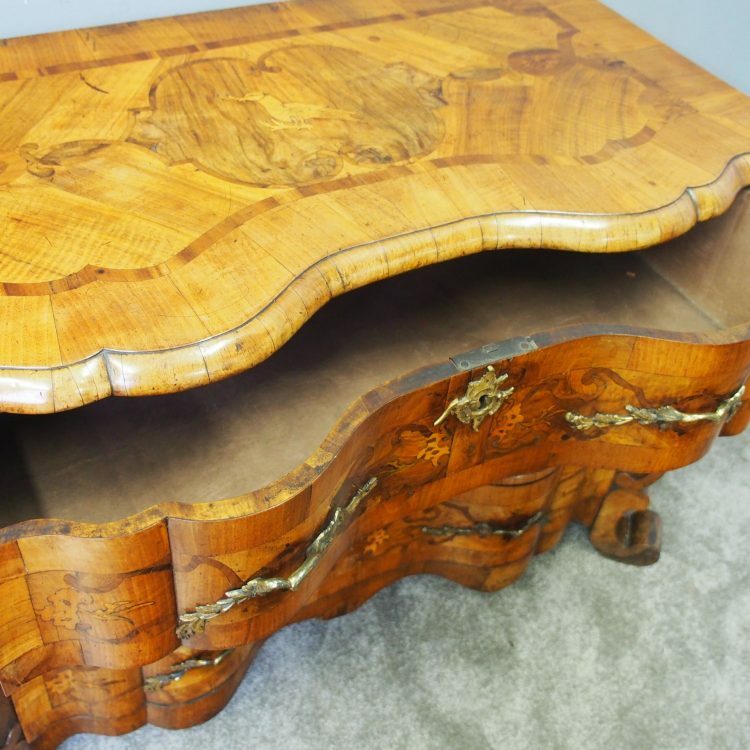 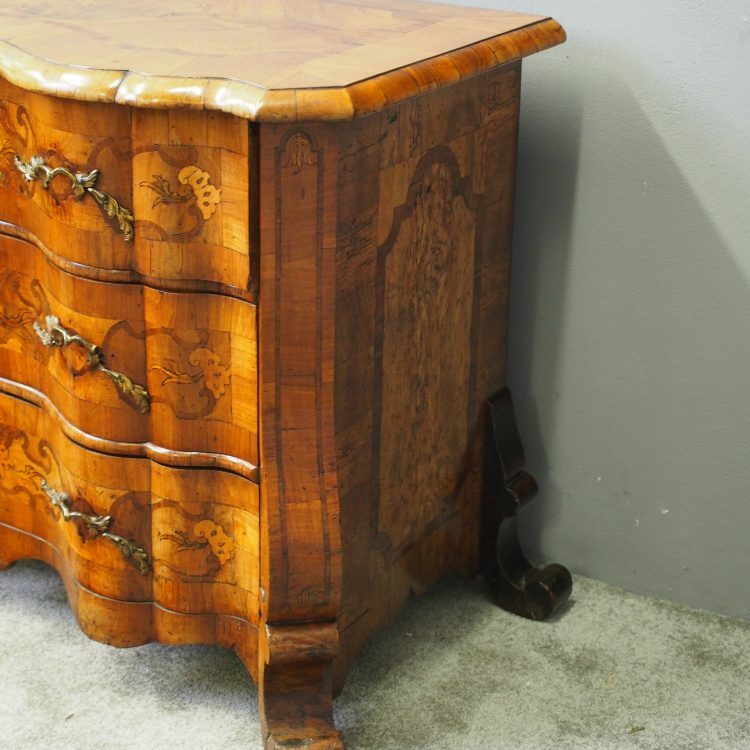 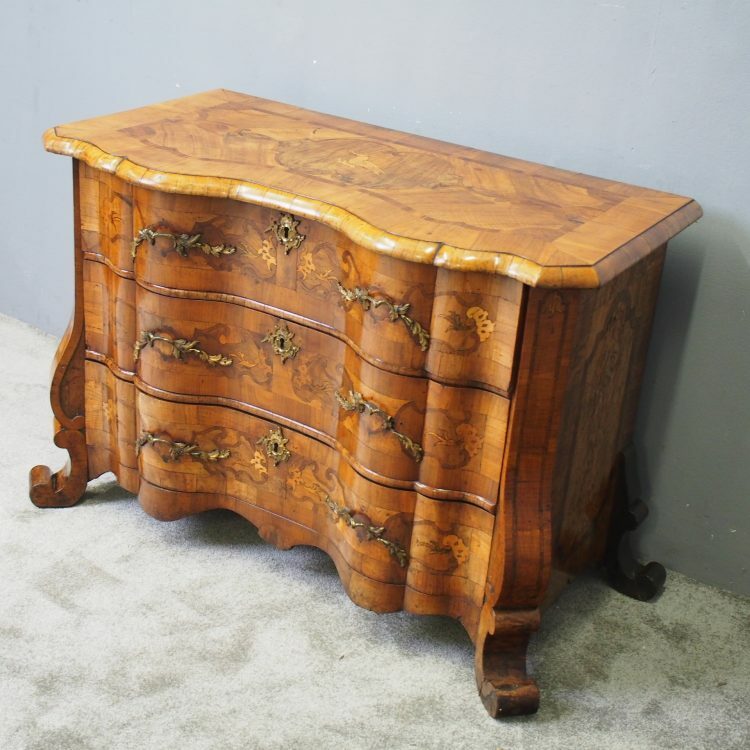 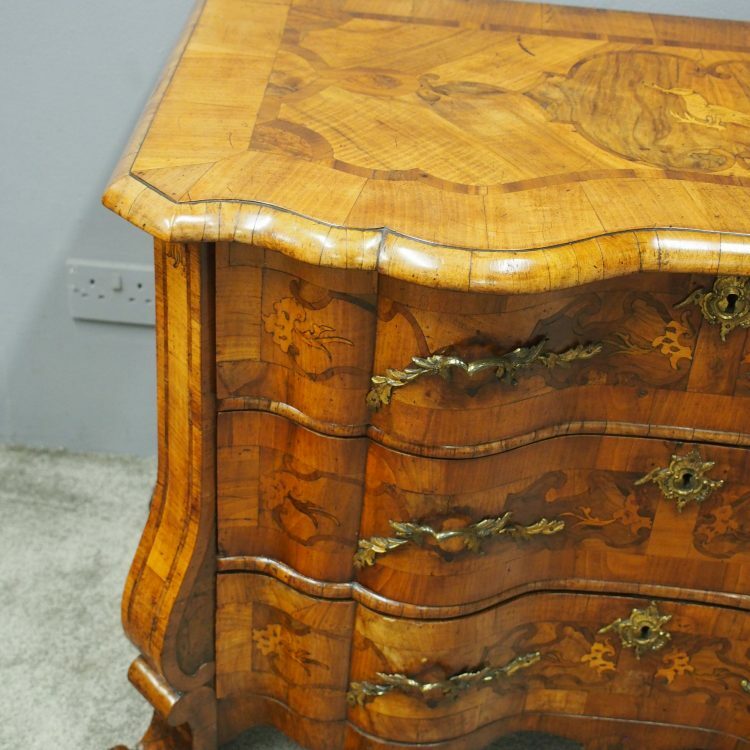 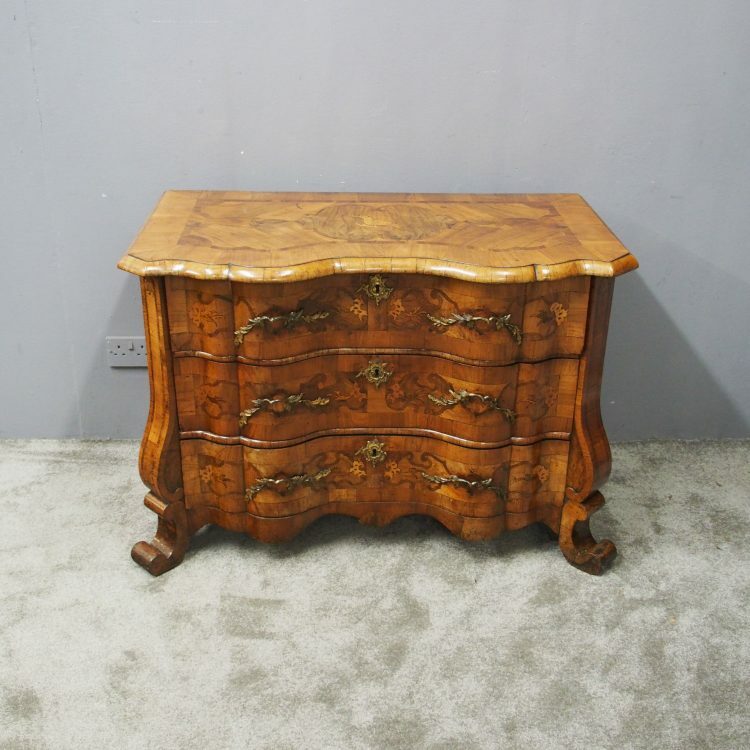 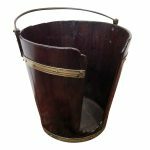 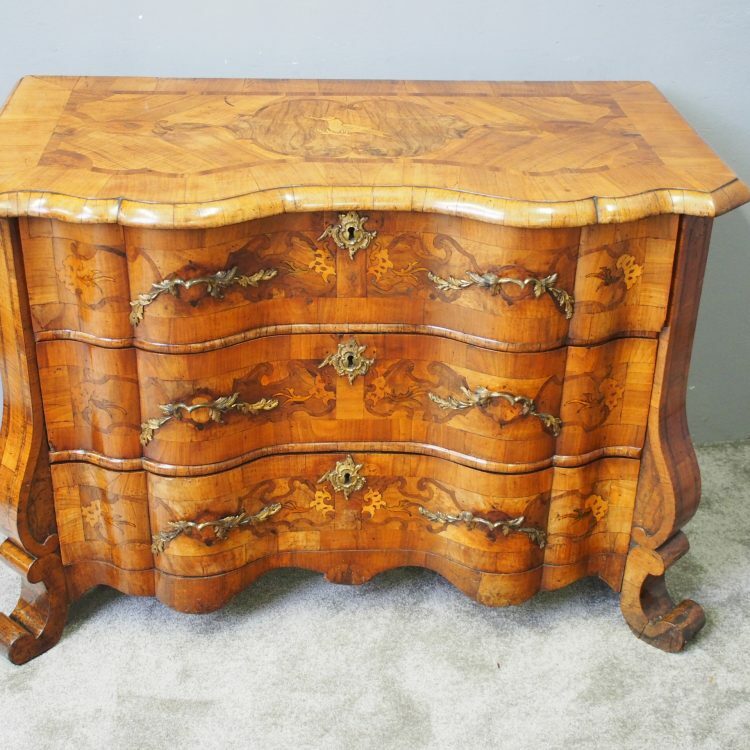 Circa 1800, neat sized walnut serpentine front North Italian commode. 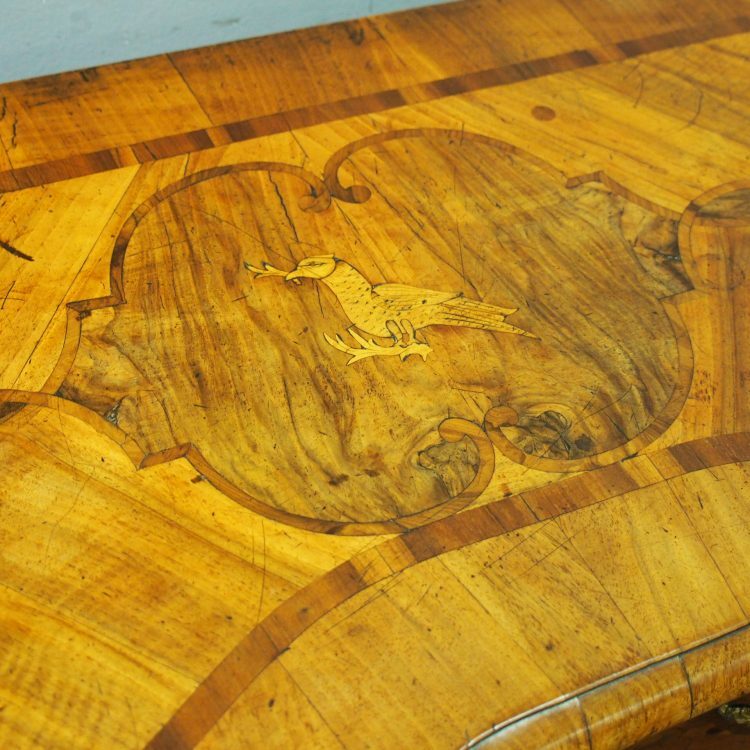 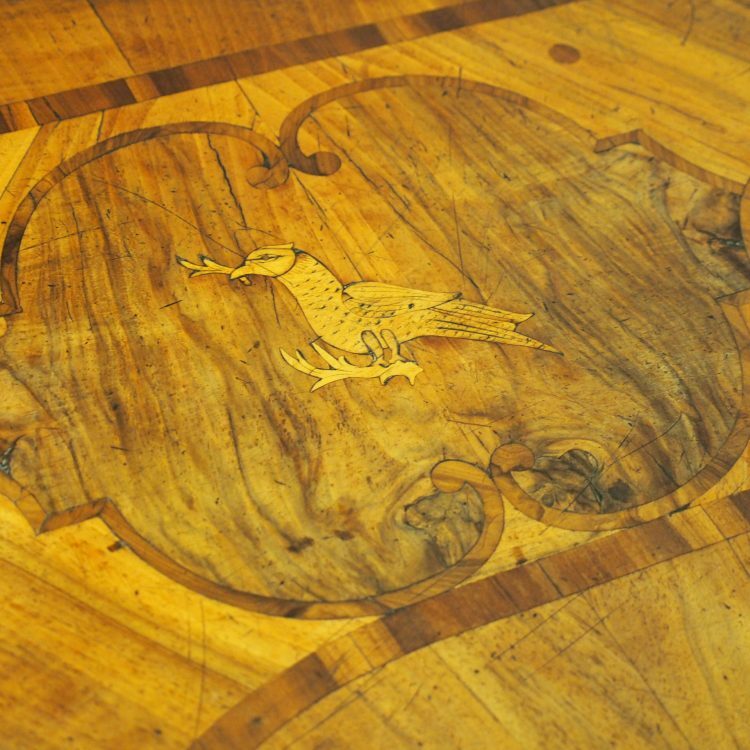 The shaped top has cross banded sections to the centre, inlaid with a mythical bird design and a half round moulded edge. 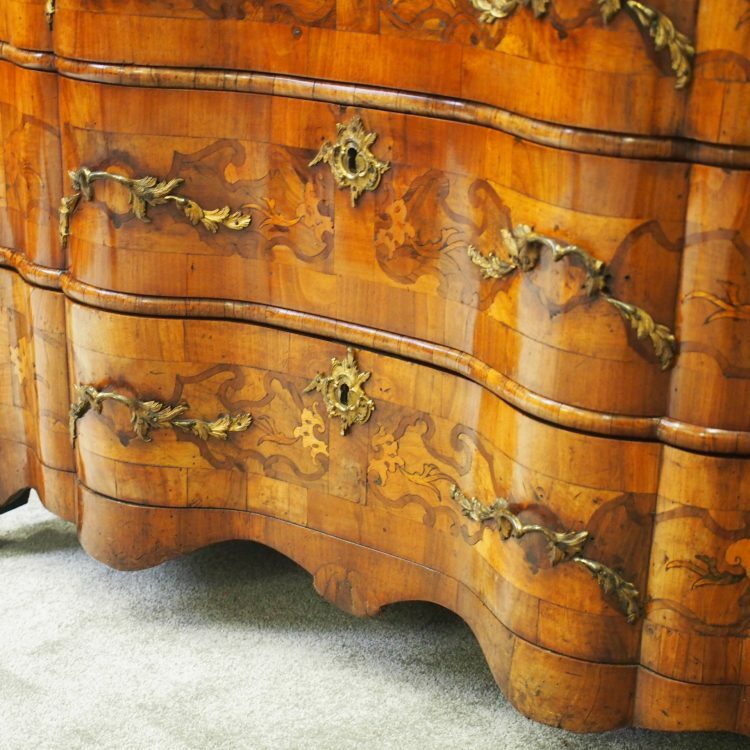 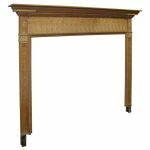 Beneath is a configuration of 3 shaped drawers, inlaid with various woods and with cast and gilded rococo handle and escutcheon. 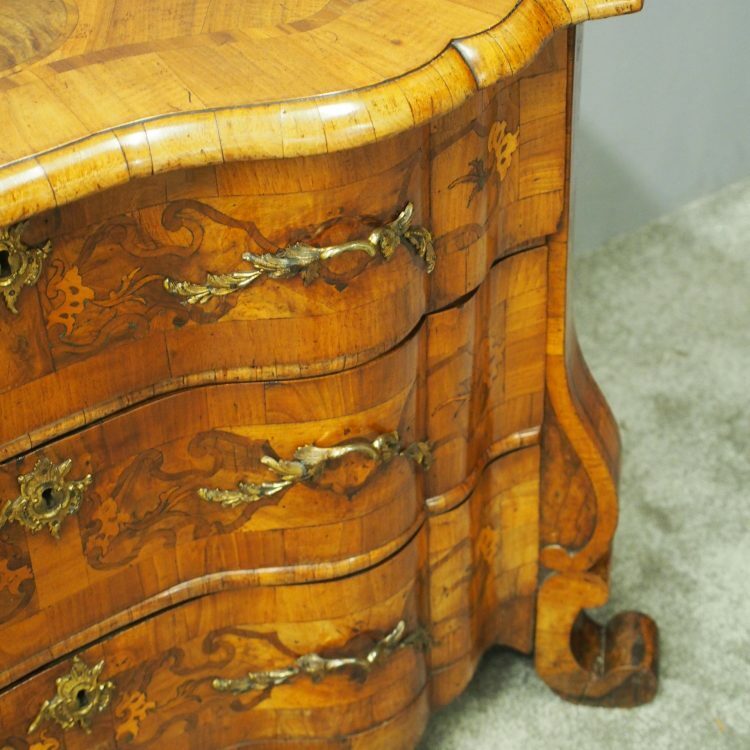 The shaped apron follows the form of the drawer fronts and there are raised edges either side which curve away from the chest, finishing on c-scroll feet.